The hustle and bustle of Tokyo is intoxicating. It’s a fast-moving city with millions of inhabitants and yet there are moments throughout the day when it feels completely still and quiet. It’s difficult to explain. One of the most impressive and inspiring things about Japan is the art and design community that seems to permeate all aspects of life in Japan. Just like the greatest cultural meccas of the world (i.e. New York and London), Japanese art and design is unique and has a distinct style/ethos that is unmistakably Japanese. Today, we’ve compiled a short list of some of our favorite Japanese design blogs to keep you inspired. 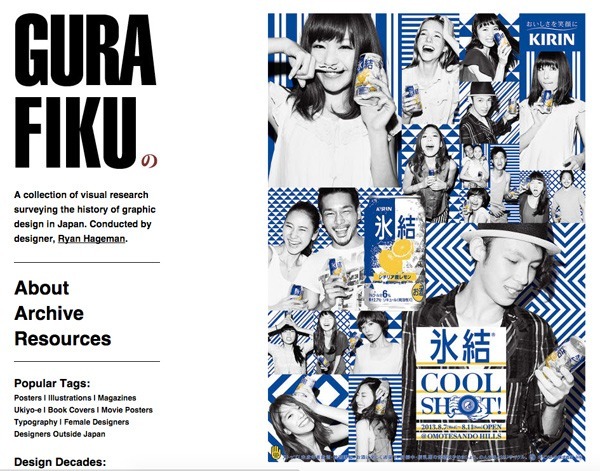 Gurafiku is a great resource. Designer, Ryan Hageman collects and displays great examples of Japanese graphic design. 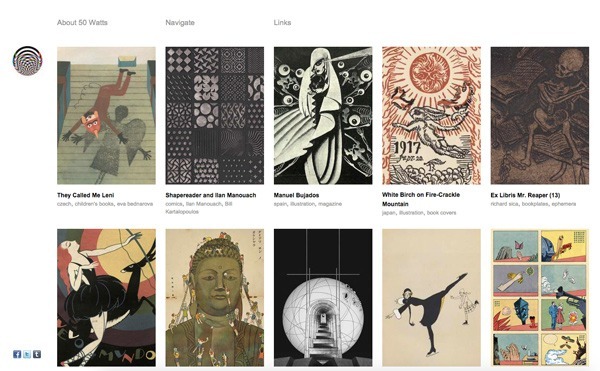 Have a look and you’ll get a good sampling of what Japanese graphic design is all about. While not strictly a Japanese design blog, 50 Watts does have an excellent collection of book covers from Japan. Will Schofield, the man behind 50 Watts, meticulously and carefully curates a truly fantastic collection of images that you’ll gladly give your time to peruse. 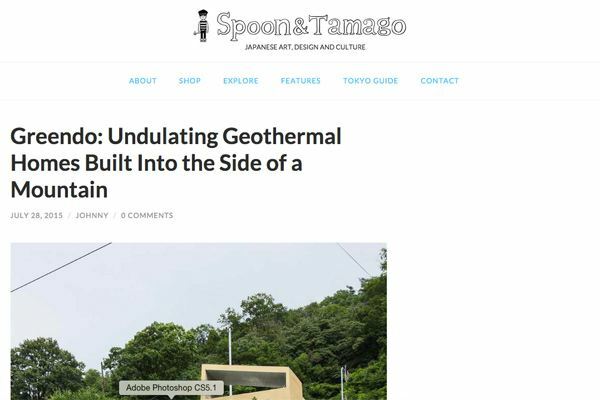 Spoon & Tamago is one of our true favorite Japanese Art and Design blogs. Their mission is simple: Show the world what’s going on in Japanese Art and Design and where it’s headed. 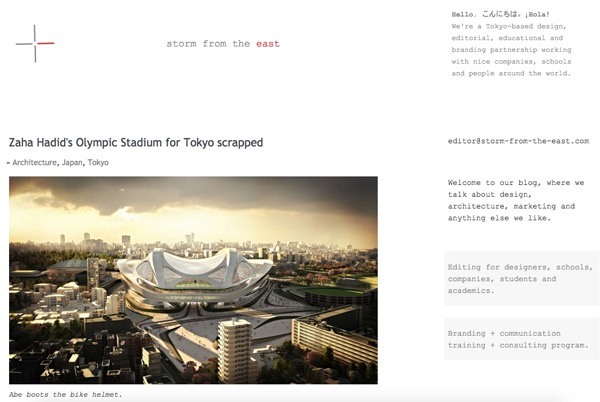 Storm From The East is the design blog of a design firm in Tokyo. It’s a great collection of stories and “day-in-the-life” blog posts of designers in Tokyo. 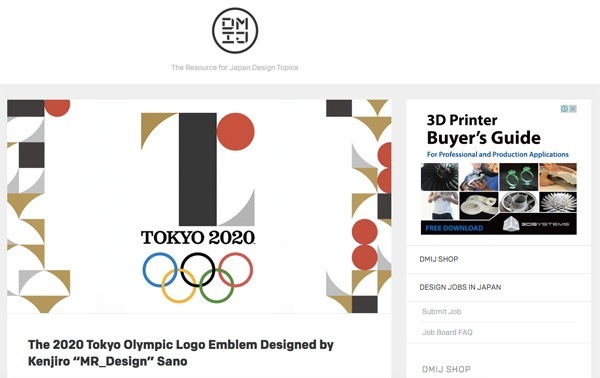 Design Made in Japan is a fantastic resource for anyone interested in Japanese design. Hello Sandwich contains some very interesting posts about designer, Ebony Bizys’, life as an artist living in Tokyo. Tell us what you think in comments section below!